New artist archives from Hamburg and Berlin, compliments of the one and only TXMX. Just got the annual submission from Hamburg legend TXMX. Managed to process them all and upload the majority of them tonight. He snapped pics in Italy, Berlin, and Hamburg. Code sent some our way and a few others from Europe are in this batch. More coming from the TXMX files, as well as some others from the San Francisco Bay Area and beyond. Until then, hold your hats! Four weeks can come quick. Prepare for a good time, with a presentation currently titled "Not Banksy". 21,000 uploads to the Stencil Archive. Here's to 1,000s more. Respect to all who have submitted, cut, painted, photographed. Have any plans Sunday, November 15? Come out to the Howard Zinn Book Fair and hear me give a 15 minute presentation on stencils and street art. The presentation will be 1:45 in the Grace Lee Boggs room. My presentation will support an hour long program by authors Rachel Cassandra and Lauren Gucik, who are releasing their book Women Street Artists of Latin America: Art Without Fear/ Grafiteras y Muralistas en América Latina: Arte Sin Miedo through my publisher Manic D Press. This book shines light on female art and voices in the lesser explored Latin American street art scenes. I frequently hear people stereotype street artists as always male (and usually a person of color in a gang), so appreciate that Cassandra and Gucik are releasing a book that will help erase assumptions about who makes the art on the streets. As a bonus, some of the artists featured in this new book cut and paint stencils. 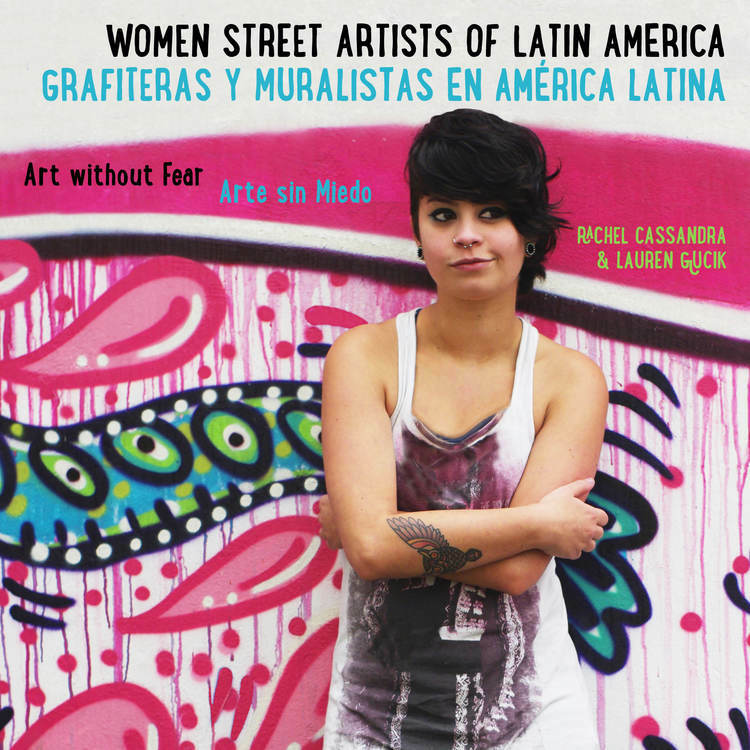 Women Street Artists of Latin America: Art Without Fear is a book about Latin American women creating visual art in public spaces. It includes interviews, portraits of the artists, and photographs of their work. If you tried to visit the Stencil Archive last night, you probably saw an error page. We aren't sure what happened and it appears to be all good and up again. Apologies if this interrupted your stencil enjoyment in any way. As always, this project is a bootstrap, grassroots one. Any support goes straight to the admin and upkeep of the Stencil Archive. Profit of any kind is hilarious in this age of hypercapitalism. As a great street artist once said, "art should be free to the public and not inside a stuffy old building." Three-day weekend and nothing to do? Time to click through some stencil pics!